We all know that “a picture paints a thousand words.” This famous one-liner couldn’t be more true when it comes to the importance of one of the latest gadgets in the dental field known as an intraoral digital camera—a device used by dental practitioners to take images of the insides of the mouth. The intraoral USB camera is a vital piece of equipment that helps in diagnosing dental problems and making patients understand the causes of pain or discomfort inside the mouth. Plus, with the bright LED or halogen light source on the camera, the images have optimum clarity. This detects fractures that our naked eye would not normally be able to see. These intraoral gadgets feature the USB interface for speedy and easier transfer of images to a computer, allowing easier linking to available network, making these devices portable. Since images are stored directly to the computer’s memory, they are readily available to send via email! Realizing the convenience of adapting to the USB technology, several manufacturers of dental equipment now offer intraoral USB digital cameras and have added some feature to set themselves apart from one another. The Polaris™ intraoral USB 2.0 camera has a 330-degree swivel so the user can capture all angles with ease while its round ergonomic design makes it easy to hold and operate. SuniCam, on the other hand, weighs only an ounce so it is easy to carry from one operation to another. Schick USBCam is also known for its great portability. 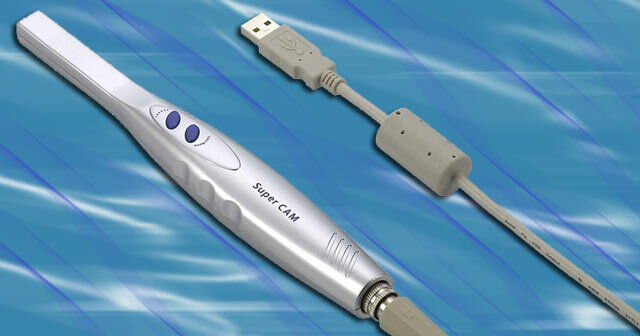 Meanwhile, the Cammy USB Intraoral camera and the DEXIS® DEXcam™ 3 are designed with a freeze button to capture images. Cammy also has disposable sleeves to prevent contamination and a joystick to control zoom. The Dentrix ImageCAM USB 2.0 is able to support 480 Mbps of HQ video at 10 times quicker than other intraoral cameras. It also features an extended depth of focus system that keeps images of arches, smiles, quadrants, and single teeth in focus without the need to adjust the camera. On the other hand, the Gendex GXC-300 connects directly to the USB connection without the need for a docking station. Finally, the KODAK 1000 adjusts automatically based on ambient light to optimize the image even in less-than-perfect lighting conditions. These dental field advancements prove that the USB technology has continuously expanded its applications to industries that we never thought possible (Did you ever imagine it could be part of the dental world?). Now that these intraoral digital cameras are improving a patient’s dental experience, we can definitely anticipate that the power of the USB will conquer more and more fields in the future. Has your dentist used an intraoral USB camera on you? What unique feature did you like most about it? This entry was posted in Articles, Intraoral USB Camera, USB Digital Cameras, USB Future, USB Gadgets, USB Technology and tagged Cammy USB Intraoral camera, Dental Technology, Dentrix ImageCAM USB 2.0, DEXIS DEXcam 3, Gendex GXC-300, intraoral digital camera, intraoral gadgets, intraoral USB camera, intraoral USB digital cameras, Polaris intraoral USB 2.0 camera, Schick USBCam, USB Intraoral Gadgets, USB technology. Bookmark the permalink.